strung on recycled brake cable, the zig zagged inner tubes have a feathery, unexpected texture. reclaimed mahogany is cut into architectural shaped beads. 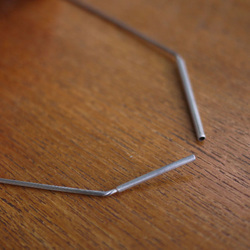 the clasp is made of 2 stainless steel tubes that slide together easily. feel good knowing it's made in San Francisco from a green transportation by-product. 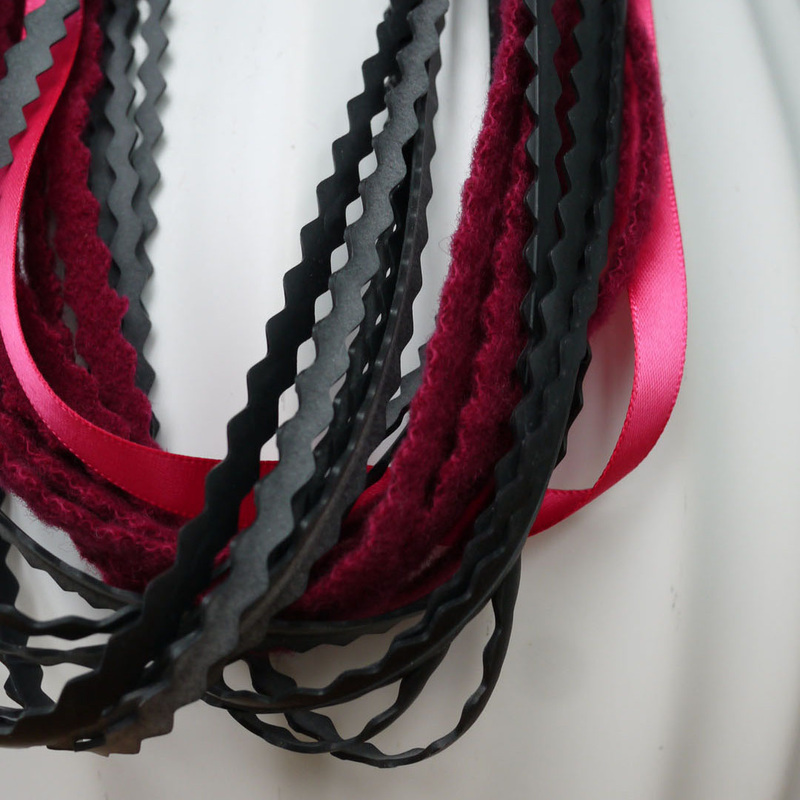 these zig zagged bike inner tubes are combined with wool offcuts, reclaimed from women's jackets. the bright colored wool and tubing are sewn onto shiny silk ribbon dyed with all natural dies. 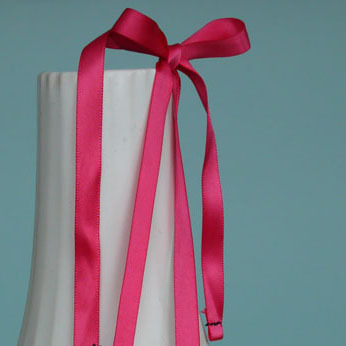 tie the silk in bow or knot and let ribbon flow invitingly down your back. 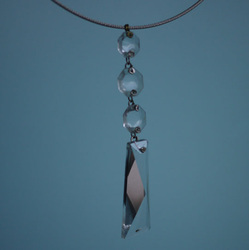 so many ways of wearing it- straight or twisted, long or short. 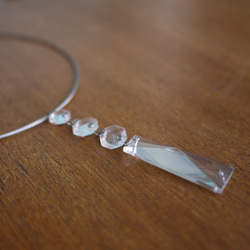 add elegance to any evening with this necklace made from recycled materials. 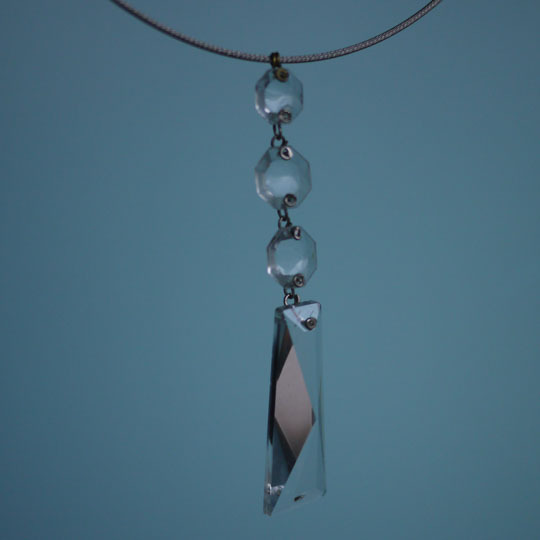 the vintage chandelier beads reflect light and continue sparkling. the stainless steel bike cable looks modern and clean while being durable enough to wear everyday. 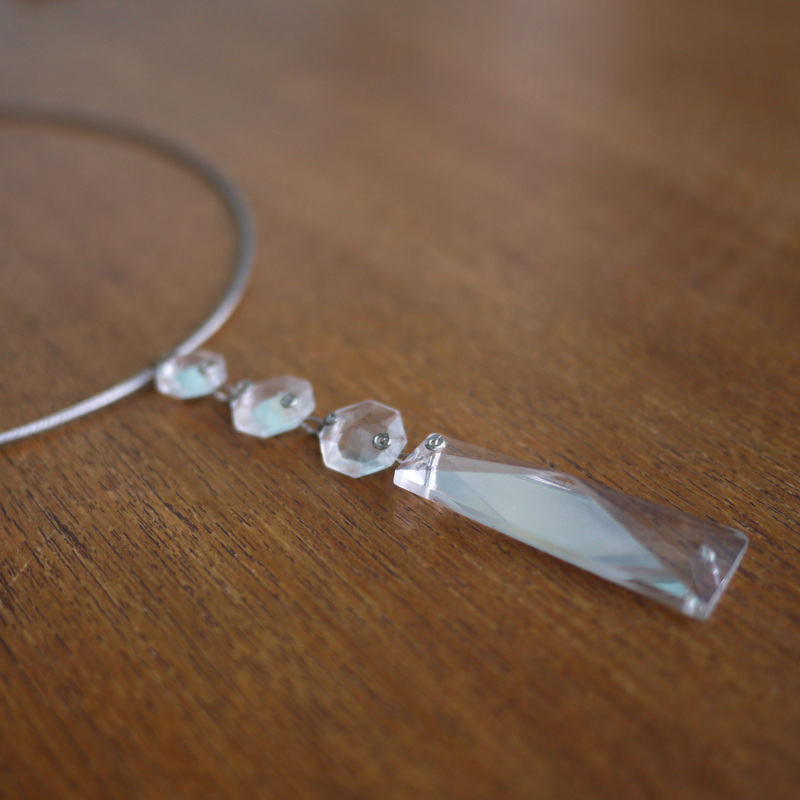 the clasp is handmade from 2 soldered stainless steel tubes that slide together easily, making it easier to put on and take off.